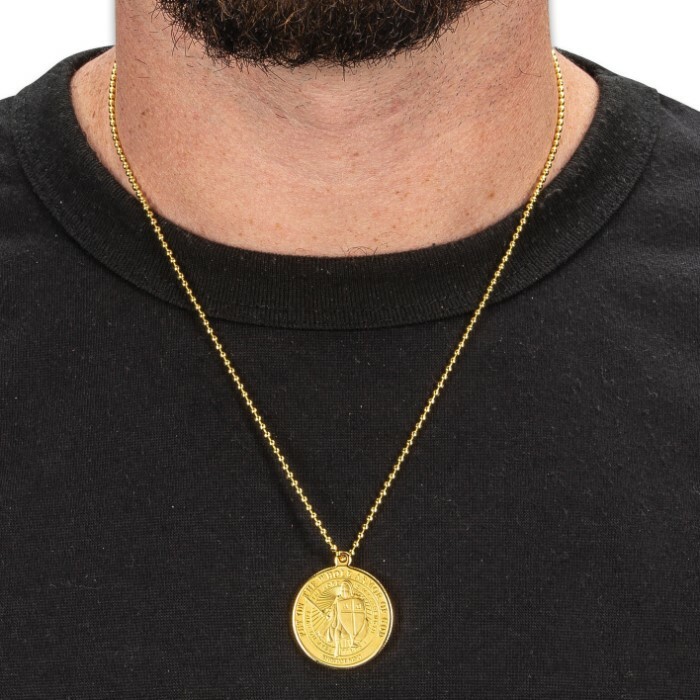 Armor Of God Coin Necklace - Quality Metal Alloy Construction, Intricately Detailed Embossed Design, 10” Ball Chain - Pendant Diameter 1” | BUDK.com - Knives & Swords At The Lowest Prices! 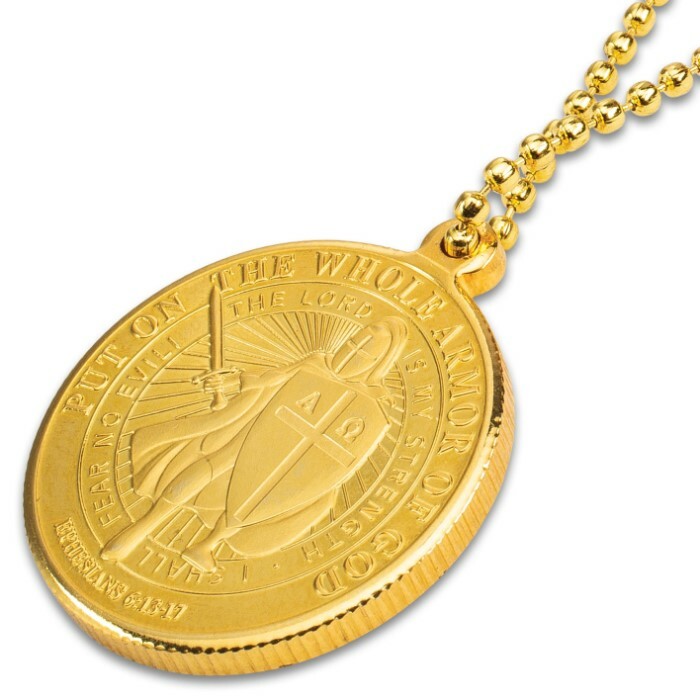 Our Armor Of God Coin Necklace will serve as an important reminder of your faith and your resolve when you wear it. The pendant is expertly crafted of high-quality gold-colored metal alloy with a high-polish finish and is 1” in diameter. On one side of the coin a knight is rendered with the words, “Put on the whole armor of God; I shall fear no evil, the Lord is my strength”. On the obverse side of the coin an array of armor is rendered with the words, “Breastplate, Helmet, Shield, Belt, Sandals, Sword”. 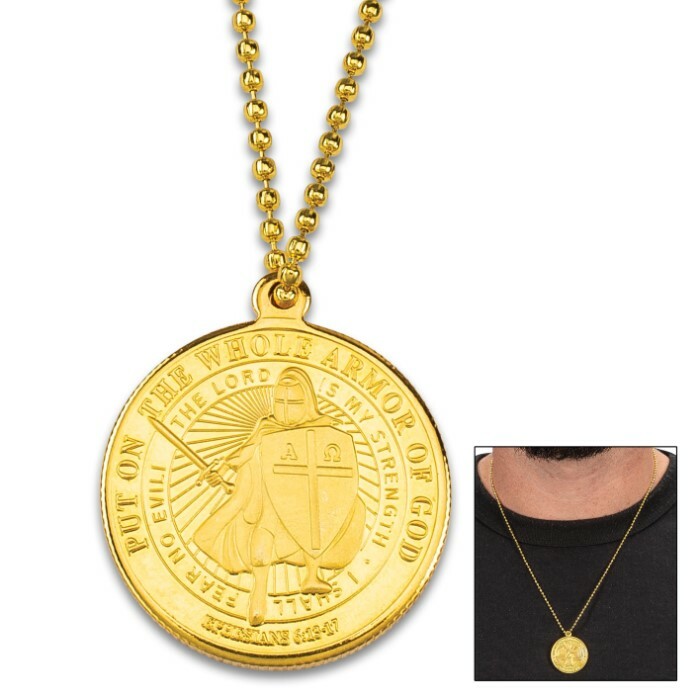 The collectible coin is suspended from a gold-colored, stainless steel ball chain that is 10 1/4" hanging and 21 1/2" overall, also with a high-polish finish. 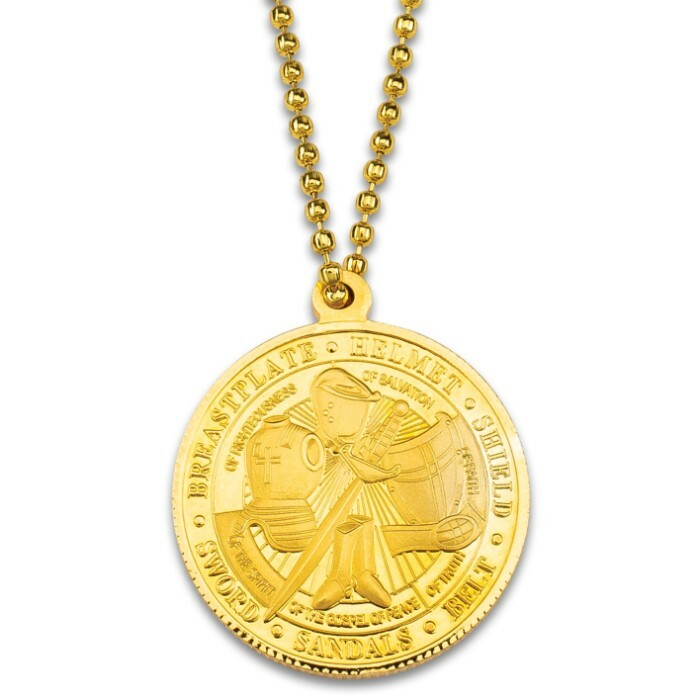 The attractive coin necklace comes in a premium gift box, making it an excellent choice of a gift for a variety of occasions.